Featured here are trade success stories from members of our trade exchange. Each member shares about their business and how trade has transformed their business. As you read these trade success stories, you too will see the opportunity that trade and our trade exchange have to offer. One day, while Robert Scheffrin was working in his father’s refrigerated warehouse in Denver, when the freezer broke down. He was fascinated by what the repairman was doing and asked him how to get into the business. The next day, he enrolled in vocational school, and went on to start his own commercial refrigeration business. 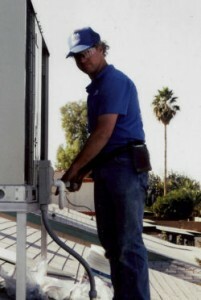 The 1980’s recession, that hurt the commercial business, the fact that there are a lot more private homes needing air conditioning and job opportunities in warm climates than in Colorado, and the fact that he likes socializing with customers convinced him to become an air conditioning repairman in Arizona. 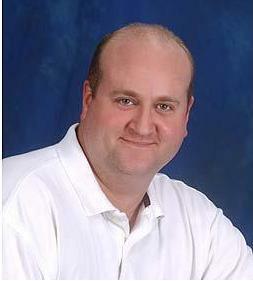 Robert soon started his own company – Cold Wave Heating & Cool Service. When he bought a fixer-upper house in Arizona, he was in dire need of getting his pool resurfaced, but could not afford it. He wound up swapping services with a pool contractor who needed a swamp cooler, and his love of barter was born. Robert found, though, that it was difficult to conduct barter one-on-one and, while watching an Oprah show, discovered that there were companies that could efficiently facilitate trades, and began joining barter organizations. He even joined an international group in New Zealand, where he met his wife, conceived his now year-old son and vacations in luxury often. Fifteen years ago, Tony Medlock of PJs Flowers & Events left a world to which many others aspire. He left his job as a rock and roll lighting director and the cold weather of Springfield, Missouri, in 1995 and moved to Phoenix. Though he originally bought the business for his wife, he wound up becoming one of the top florist speakers in the world. PJs, located at 7828 N 19th Avenue, Unit 10, in Phoenix, Arizona, provides flowers and gifts for all occasions and is an environmentally-conscious (green) business. Tony has had national recognition, including being a designer for the Rose Bowl Parade and an invited florist to the famous Philadelphia Flower Show. Deidre Morhet was a real-life “rocket scientist.” This New York native has a Masters in Engineering and worked with NASA in Houston. Growing up in a family of entrepreneurs, she helped small businesses with accounting issues after she moved to Phoenix fourteen years ago. In 2004, Morhet created BASC Expertise, a small business consulting firm. BASC Expertise, located in Mesa, Arizona, provides tax, payroll and accounting services, all the things that most small business owners hate to do. Morhet also focuses on consumer tax issues such as short sales and foreclosures, and debt forgiveness, unfortunate necessities in this economy. Morhet joined Tradesource several years ago. “I was attracted by the business and personal values the company professes.” She soon learned about the capability Tradesource has for satisfying basic business needs and freeing up funds for priorities. During her appearance on a Channel 3 TV segment about Tradesource, she showed how she uses Tradesource for doctor visits and dance lessons for the children. 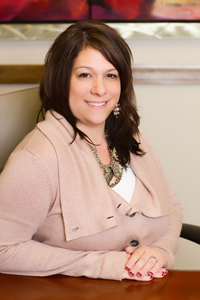 “The money I saved through Tradesource even allowed me to expand my staff,” Morhet says. Orville Wright III, the founder of Wright Consulting LLC, has spent most of his life in the Valley. He seems to have been a born entrepreneur, having started making money at eight years old doing landscaping for his local Taco Bell. He moved up to making a profit reselling Bubble Yum, painting addresses on carports, and recycling newspapers. After being an “office guru,” the one who always knew how to fix the computer and copy machine, he began his full-time work with computers in 1995. 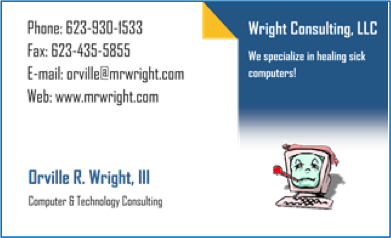 Wright Consulting can resolve all your computer emergencies (e.g., resolving hacking issues, reconnecting you to the Internet) and banish day-to-day annoyances (e.g. from pop-ups to spam). Orville has been a member of Tradesource since 2005. He had been involved in barter since the early 1990’s, but had been “burned” in the past. But Orville has enjoyed his relationship with Tradesource. “The staff is always friendly and welcoming.” He also welcomes the many referrals he gets all the time from Tradesource! Be one of the many trade success stories with Tradesource. Request a demo or join our trade exchange today!